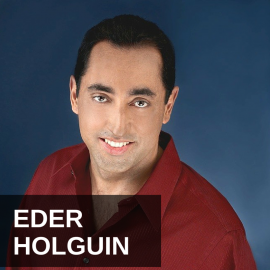 Eder Holguin is the founder of Ideal Media, former Chief Revenue Officer at Virtual Fan Network, former Chief Revenue Officer at Integrate, former Chief Marketing Officer at Krush, and the founder of OnDemand Research and Iron Traffic. He’s an accomplished marketing entrepreneur and speaker. Holguin tells us about Ideal Media’s content discovery platform and how he’s able to offer free content marketing services to his advertisers. He describes the model and how its different from Outbrain. Holgui then shares some content marketing rules for success. He answers what is left for advertisements to be placed on and discusses the next major place we will see ads. He also elaborates on consumers becoming numb to current advertising. Jason Hartman: It’s my pleasure to welcome Eder Holguin to the show. He is the founder of Ideal Media and a few other companies as well. Former chief revenue officer at Virtual Fan Network and former chief revenue officer at Integrate. He’s also the chief marketing officer at Crush and founder of on demand research on Iron Traffic. And we’ll talk today about getting more exposure for your books, your podcasts, your business, all things along those lines. Eder welcome, how are you? Eder Holguin: I am doing great. Thank you so much for having me. Jason Hartman: And you are coming to us from New York City today, correct? Eder Holguin: Exactly, yes, I’m in New York. Jason Hartman: Fantastic. Well tell us a little bit about what it is that you do, and how our listeners might take advantage of it. Eder Holguin: Sure, we created a content recommendation and amplification engine and in simple words, the internet keeps growing. It’s incredibly large. Things are very, very hard to find as it continues to grow. So we build a company that provides two services. One is visibility for your content, whether you want to promote a book or a specific podcast, individual video channels, articles, your blog, we create visibility through our content recommendation ad units and we provide the engine as well to promote new content through internal sources, meaning sites that you’re on or places that you work with, and through our publishing network. Jason Hartman: So tell us about the mechanics of doing that, I mean, how do you increase the exposure of this content? Eder Holguin: We provide native ad units. You probably have seen them before if you are reading an article in the New York Times or Yahoo and you finished reading an article and towards the bottom of the page you see little squares that say you may also like or trending on the web, we empower those little boxes. They are content recommendation units and can be used as just pure content to engage users. But also you can build campaigns to create visibility for your individual content through those. Jason Hartman: Okay, fantastic. So can you drill down on that a little bit more as to how it works? So someone signs up with your company, they can spend as little as $1,500. You have some big brands as clients as well like America Online or AOL. What do they do next? How does that engagement process work? Eder Holguin: You’ll find the content that you want to promote. If you have a specific trending topics or a specific vertical, we create the custom ad units for you and we basically match, the look and feel is matched to specific placements that we want to provide, so you get visibility through different channels. We take those little ad units, syndicate them all over the web on websites that are relevant to your specific topic and then we do syndication through social media and Facebook and mobile devices as well. So in essence we’re creating visibility for users that are reading something that’s relevant to your specific topic and bringing those users right to you. Jason Hartman: So any stories that you want to share from some of your clients as to how they used your services and how it increased their results? Eder Holguin: Absolutely. We have companies that vary in size, like you mentioned, from fortune 500 companies to really small bloggers and podcasters, as well as people that produce digital video and content on their own. We work with a couple of video platforms. And what we do with them is basically they provide the most trending videos, the things that they want to highlight the most, we create custom ad units as I mentioned before, which are previews of that video and we syndicate that all over the web. Some of them are doing anywhere between 100,000 to 150,000 unique visitors a day, increasing visibility, since most or these companies derive revenue from selling advertising themselves, they basically use our engine to increase visibility, increase page views, and therefore increasing revenue for themselves. Jason Hartman: So what other questions should I ask or what other things should we cover? 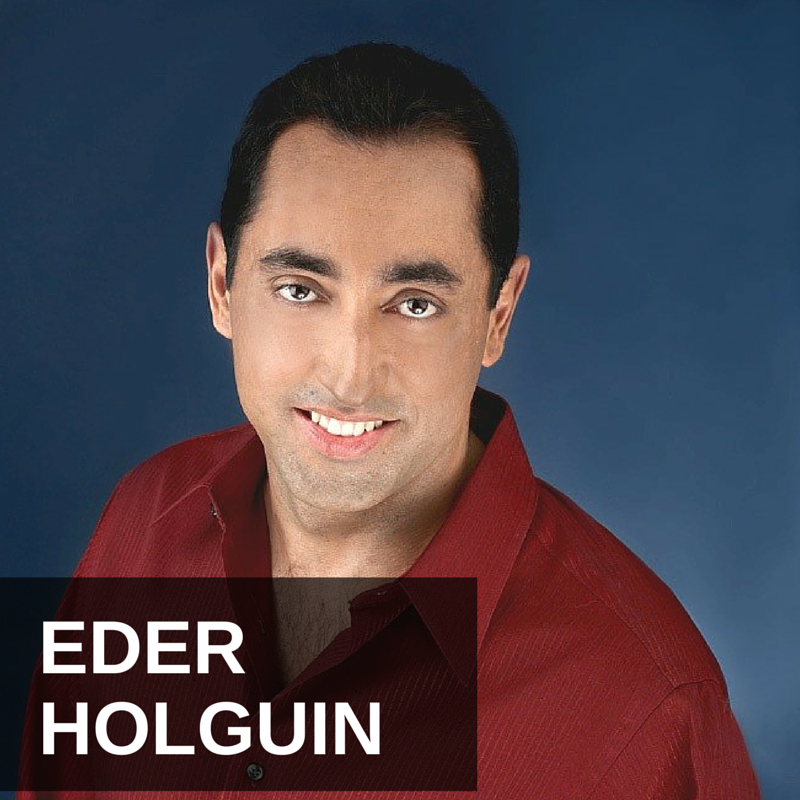 Eder Holguin: In general, I can talk about anything you want. If you want something I little more geared towards advertising, the future, where it’s going, I’d be happy to share my thoughts on that. Jason Hartman: Yeah, well, that’s a great part too. I mean, where is it going? We’re seeing so many changes. And we look at so many industries, especially the book publishing industry that just still in my opinion hasn’t found itself. I was interviewing an author yesterday and they were talking about how it’s 18 months before their next book can come out and it’s finished. If that were self-published, and they were to market it themselves and use your platform and use some of the other advertising platforms available, boom. It can be out in a day. It’s incredible. Eder Holguin: I think that’s one of the greatest things about technology, right? Technology has leveled the playing field for a lot of the smaller players. Now you can launch a mini movie on line without having to rely on all the budget and all the money from the studios. Through crowd sourcing you can fund your own films, your projects, your companies. A lot of these things are about involvement and power to the people, if you will. And I think that’s the future. The future has shifted in two ways. One, with all the new technology that’s available today, people can take control of their future. They can build their own wealth. They can start promoting content. I talk to people all the time who left the corporate job to go and start building a video blog and teaching moms about eating right and exercising or teaching about music. In the same way, in advertising, the shift goes from mass media, which was television and radio for the most part in the old days, to a more personalized experience. Platforms like Facebook and LinkedIn and all these different platforms that are coming on board, whether social media platforms or others, are building into the idea of just niche markets. Just being able to provide you with the ads that you want to look at, things that are relevant to you, information that pertains to any specific thing. Because consumers are very savvy these days and now they have time to revue, to read about a specific products and services which creates a lot of opportunity for a lot of entrepreneurs and people that want to build their own companies without having to rely on a lot of money to build the technology behind these because the tools are there. Jason Hartman: Yeah, one of the things I like to say is that the cost of failure these days has been dramatically reduced. I mean, the cost of startup has been reduced, so, if that start up doesn’t work, it’s just not very expensive to try something anymore is it? Eder Holguin: No, I completely agree with you and I think what I’ve seen lately is a lot of the business models that didn’t work in let’s say 1999 and 2000, they are being recycled now. There are companies that are looking at things that didn’t work in the past because they infrastructure, the technology, and all these things were so expensive. And they’re basically reinventing some of the models. If you think about Facebook, it’s not that different from the idea that AOL had in the past. They just changed a couple of things and started rebuilding it. But it created that, a specific community of people that are together, that share things online. And a lot of the new companies are just reinventing the wheel if you will. Because like you mentioned, technology is cheaper, we have better tools today, it’s a lot easier to build certain things than before. So you will continue to see this moving forward as well. Jason Hartman: Yeah, it really is an amazing time to be able to do this. So are there any particular types of content that work particularly well? Is it riding the coattails of something that’s trending, any advice that you have for content creators? In terms of what they’re producing? Eder Holguin: Sure. I think that a lot of the new companies are beginning to understand the idea behind content marketing. We dabbled a little bit into part of creating content, but out main business is the amplification and visibility of it. But I think one of the interesting trends now that you mention this is how to present content to consumers. And I think the old hard sell, very in your face type of content doesn’t really work anymore. And I think people are looking for information and in the content marketing side it’s more about telling a story. Telling a story about your product, your services, in a way that is not intrusive, that invites people to learn more about it. And I think that’s the key. The key on the content marketing side with the people that we work with is those that present information rather more in a less intrusive way and more informative way of presenting information about their services. It engages the users and a lot of the content becomes viral because it’s information that is useful for other consumers as well. Jason Hartman: I remember back in the 90’s, a lot of people were doing free reports. That was the big thing. Here, get this free report opt-in, and it was like giving away the information, but that seems to have completely died now. Do you think this concept of, for lack of a better word, maybe you have a better word, I’ll call it editorial oriented advertising, is this going to last? Or what’s the next thing if you had to guess? Eder Holguin: Yeah, I would call it content marketing, which is not that different from advertorials or free reports. I think the biggest difference on the content marketing side is that now the metrics that we use to measure content marketing are more based on engagement and metrics like how engaged the users are, how much time they spend reading your content, how viral your content is. And I think the metrics are more shifted towards engagement, rather than just specific ROI. So it’s more about providing information and engagement for users so they can get more education about specific products and services before they make a buying decision. Because we all know the internet has changed that. You go to buy a car, you spend more time on your computer reading about pricing information, the specs of the car, reviews, all these different things before you make the purchase. And consumers are very informed these days because the tools are available to them. So I think that providing that specific type of content, it’s going to be the trend and it will continue to do so. There’s a lot of new companies putting out a lot of information regarding their products and services and telling a story in a way that is very non-intrusive. 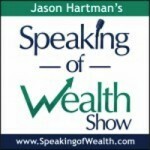 Jason Hartman: Good stuff, well any other thoughts that you have or things you want to share? I do want to ask you about your prior companies and businesses for a moment. But anything else on this area? Eder Holguin: No, we can talk about my previous businesses, sure. Jason Hartman: Just to get a little, this is your third company correct? Eder Holguin: Yes. So I came here, when I was a teenager. I moved here from South America. My parents are both South Americans and I came to New York with the idea of being an entrepreneur. Struggled through a lot of the same things that a lot of us immigrants go through, had all the service jobs and waiting tables, to bartending. Paying my dues, did a lot of sales to begin with. And then after being in sales in the digital marketing, I realized this is it, digital advertising, digital marketing is what I want to do. And with a couple of friends we started the first company. My first start up was a company called Iron traffic, here in New York and we built an agency type, digital agency to provide services for other companies. Jason Hartman: And did you fund that yourself or did you take on outside funding? Eder Holguin: No, we had the technology part of the business, one of my ex partners was Israeli and we had a technology company in Israel, so through him we funded ourselves the production and development of all of the products that we wanted to build, eventually once we started making money in the company, we ended up buying the technology part of it and continued to grow the business. We were on Inc. 500 as one of the fastest growing companies in 2005 and the company was very successful. I left the company in 2008. Jason Hartman: And what about the other one? How did you start and fund that one? What I’m getting at here is I’d like to hear a little bit of your rags to riches story. You told us about the rags, waiting tables and so forth. Eder Holguin: Yeah, the second company was through a couple of friends who were running an investment firm here in New York and the company was on demand research. The company was just two of us and we started providing a platform to provide data segmentation and data for Market Research Company. So we sold exclusively to market research companies. I did most of the selling, had a very talented friend building the infrastructure and the technology behind it. And we grew the company relatively fast. It was later acquired by Excel Marketing, which is a much larger company here in New York as well. But the essence of a lot of this was just looking at something that was there, looking at a need and realizing there was a need in the market place for a specific product and service and tackling the problems. So if you’re an entrepreneur, you want to build something, it’s always the easiest way. Forget about what makes you money; forget about what’s the trend, what’s popular, focus on two things. One is the need in the market place, is there a problem I can solve, is there something in there that I can do to improve the current circumstances or specific industry or something that you really love. The passion needs to be there. If you love what you do you’re going to be able to cope with the ups and downs that we all have and the challenges. Whether it’s the economy, or technology changing too fast. Whatever it is, you need to have those things in place. Jason Hartman: What are some of the big challenges you had to overcome? Just one or two of them? There’s probably a big list, right? Everybody from the outside thinks, oh gosh, that looks so easy, but it never is, is it? Jason Hartman: Where in South America are you from? Eder Holguin: I was born in Columbia. Eder Holguin: And then in business, I think the challenges is just thinking what you mentioned, I think people think, you have your own company and you’re going to make a lot of money and everything is great and you don’t have to work and it’s quite the opposite. You have to work more than anybody else. You have to oversee a lot of things, you have to learn little bit of everything from basics of accounting, to technology, to sales, and you wear a lot of different hats, and it’s a full time job. And I don’t mean 9-5, I mean weekends, I mean dedication and passion and going through a lot of the challenges that you go through, from clients that may not work for you at some point which at the beginning it becomes like something difficult to accept that there are companies and clients and people that don’t want to work with your anymore, which is part of business anyway. Through companies that won’t pay the bills, through challenges in the economy, you name it. Jason Hartman: Yeah, yeah. No question about it. The best saying I ever heard about how hard it is was “when you’re an entrepreneur you only have to work half days. You can decide which twelve hours you want to work”. Eder Holguin: Someone said to me that being an entrepreneur is like a man riding a lion. Everyone sees him and is like; wow this man is on top of the lion, and riding him. Meanwhile the man is thinking, how on earth did I get on top of this animal and how do I survive through this? Jason Hartman: Yeah, certainly true but it also has its rewards on the positive side, right? Eder Holguin: Absolutely. I wouldn’t change it for anything else. Jason Hartman: Good stuff. Well any closing thoughts that you’d like to share? Eder Holguin: No, thank you for having me on the show. I think I am a firm believer that there are a lot of entrepreneurs out there and people that may be listening that want to go ahead and take that first step, that want to either start a company or build something on their own and the only advice that I can offer is you don’t have to make the jump at once. You don’t have to elave your regular job and just go venture on your own, you can always start something part time, follow your passion, do the things that you love to do and little by little as you start to grow, you can make the decision to shift full time into something that you really, really love to do. Jason Hartman: Fantastic. Well give out your website if you would and tell people where they can find you. Eder Holguin: Sure, my website is www.idealmedia.com. And you can find us on all the social media channels and Facebook, LinkedIn, Pinterest, Instagram, you name it. Jason Hartman: Here’s actually a final question for you. In the world of social media, what do you think has the most legs? I mean, Twitter’s about to go public, Facebook’s IPO initially was a disaster but it seems like it’s coming back a bit. Is the world of social media still all about Facebook or do you think they’ll all be displaced at some point? Eder Holguin: I truly believe that it will be displaced. I think there’s so many more great things in current development, new platforms that we haven’t seen, technology’s changing so fast. And it’s all about individual needs for consumers. Everything changes. Twitter has its place, as Facebook does, but I think as we continue to evolve in social media, and technology will continue to evolve, I don’t think we have seen anything yet. I think that with so many different things coming, that at some point Facebook will probably be the next AOL. Jason Hartman: Wow, that’s amazing. Or the next Myspace, right? Eder Holguin: Yeah. Google recently announced, well actually, there’s a lot of articles about this, that the patents that they’re creating with the Google iGlasses, and how they’re patenting cost per view and cost per, all these different patents that they have, that they’re measuring retina displays and looking at how people look at ads, how they react to it and all these different things. And I think that that’s really going to change everything in the digital world. Jason Hartman: It’s amazing though, from a privacy perspective. Google scares me, Facebook scares me. And there’s so much irony too, because Mark Zuckerberg just purchased those lots around his house for 30 million dollars because he wanted more privacy. Eder Holguin: That’s the world we live in. Jason Hartman: But before you know it, the Google Glass will probably have a tiny FMRI, functional MRI machine that will actually read your mind rather than your eye movements on the ad. Eder Holguin: I hope you’re wrong, but let’s see. Jason Hartman: I hope I’m wrong too on that, just so you know. But who knows where we’ll go in the future. Eder Holguin: Well hey this has been a very interesting conversation. The website is idealmedia.com. And thank you so much for joining us today. Jason Hartman: Thank you so much for having me, Jason. This show is produced by the Hartman Media Company, all rights reserved. For distribution or publication rights, and media interviews, please visit www.HartmanMedia.com or email [email protected] Nothing on this show should be considered personal or professional advice. Please consult an appropriate tax, legal, real estate or business professional for individualized advice. Opinions of guests are their own, and the host is acting on behalf of Platinum Properties Investor Network, Inc. exclusively.